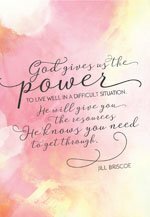 Encourage your family and friends with words from author and speaker Jill Briscoe, guaranteed to bring spiritual truth and hope no matter what circumstances life brings. 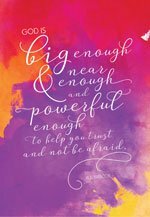 These beautifully-designed inspirational greeting cards are the perfect way to share your heart and show you care. 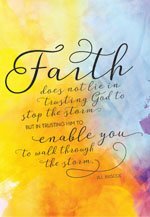 Whatever your friends or family are going through, you'll have just the right faith-inspired heart lifter to send. 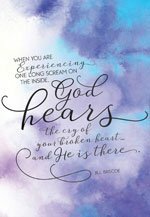 The set includes 6 different premium cards of encouragement, featuring a heartfelt message and Scripture that is sure to hug the heart. Get all 6 for the low price of $10 plus shipping and tax! Praying that God will help you walk through your storm, knowing that you are never alone! Praying for you as you walk through this difficult time. He will get you through. There isn't a moment that you aren't in His loving care. 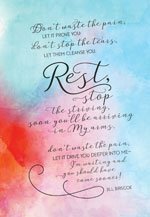 Praying He gives you overwhelming peace and hope today, knowing that He will not waste your pain. The Lord is bigger than all your fears and worries. Praying you will know His peace today. 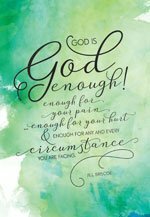 Praying that you will find God to be enough at this time & that you will know His loving-kindness never fails, that His mercies are new every morning, and great is His faithfulness!